It's very difficult to clean under a big appliance. This dusting tool does the trick. This is a really great product. I use it to clean under my heavy couch and loveseat as well as under the refrigerator, stove and washer and dryer. No longer need to move heavy furniture and appliances each week for cleaning. I also love that it is washable and can be hung on a hook for storage. I finally found a duster that allows me to clean under my audio video gear in side my AV furniture. It allows me dust underneath the electronics and in between the electronics and shelves without having to pull all the components out of the cabinet. I've searched for years for a duster like this that would make the job of dusting inside my AV cabinets and now I've found it. A few swipes between the components removes the dust from those hard to reach places. Wonderful product and concept. This is a back-saver. Being able to clean dust and debris from underneath appliances and heavy furniture without bending over is a blessing. Thank you whoever invented this simple yet ingenious product. Great for under and behind things, like cabinets, stoves, and fridges! Picks up so much dust! I love this! It does such a good job, I use it under my frig, stove, under my couch and recliners and it works great on the blades of my ceiling fan blades. I never would have guessed that it would do such a good job, but when I use it, it is full of dust and such.. Highly recommend! 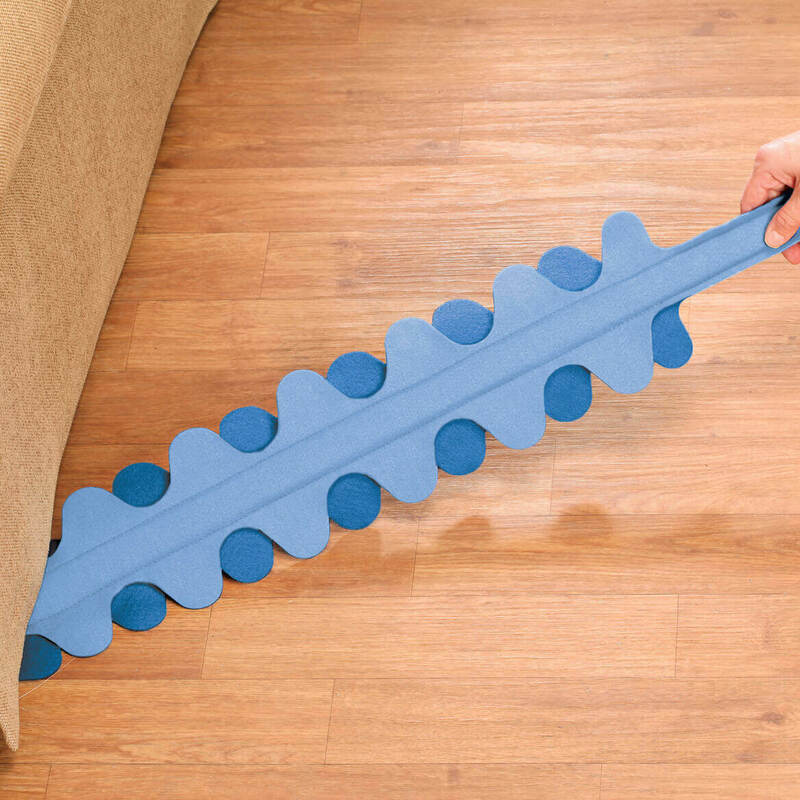 Great Cleaning Buddy for under appliances! I purchased these for our summer home. My old ones are now in the community Laundry Room. We use one to clean the dryer vent shuttes and the other to clean under the washers & dryers. It's a great help! If it wears out...I will buy another one. I love that I can use this to reach under my appliances (washer, dryer, stove and ref.) to pull out dust, dog hair and whatever happens to get under there. Should have bought two....but will order another one. It is also machine washable. This item works extremely well for getting dust, debris, and spilled items out from under the refrigerator, stove, and furniture. Fabric-like part is a little flimsy for placing in washing machine--possibly OK with a laundry bag. I hand wash and hang mine to dry. Great purchase, especially if you have pets. I bought this item many years ago and now I am looking to buy 2 more as gifts. Clean under your washer, dryer, fridge and stove just to name a few without moving a thing. If you have pets that's an additional plus. Remove the plastic stick and toss in the washer and dryer. I love it. I have found many uses. I highly recommend it. It was on sale. I read the reviews so it seems good, and I need to clean under my stove and fridge! Great for getting under the appliances in the house especially if you have pets that shed. I've had one for years and ordering more as gifts. easy to use and unable to find elsewhere. I hope this will help remove pet hair & debris from under appliances. Have one an d love it.. Getting one for both daughter in laws. Really works well for those out of reach places. We have a number of stull that we can't get under. To dust under the refrigerator and along its sides in the alcove where it sits. just like to try it. Hope to clean under my hutch. This item works better than anything else I've tried for cleaning under kitchen appliances. Wonderful! I have one and love it to clean under washer and dryer. I am ordering one for a friend. Have one similar and the girl that cleans for me wants one. Great for going under appliances, etc. It says you can use it wet, and I bought it to get between the washer and dryer. I have a older one, which I love. So this time I bought two of them. I keep buying these cause my housekeeper likes to dust and clean with them. Very appropriate. Hope it will help to take out lint from my dryer. I want to use this under my appliances and also try it in my dryer vent. Old ones are well used. 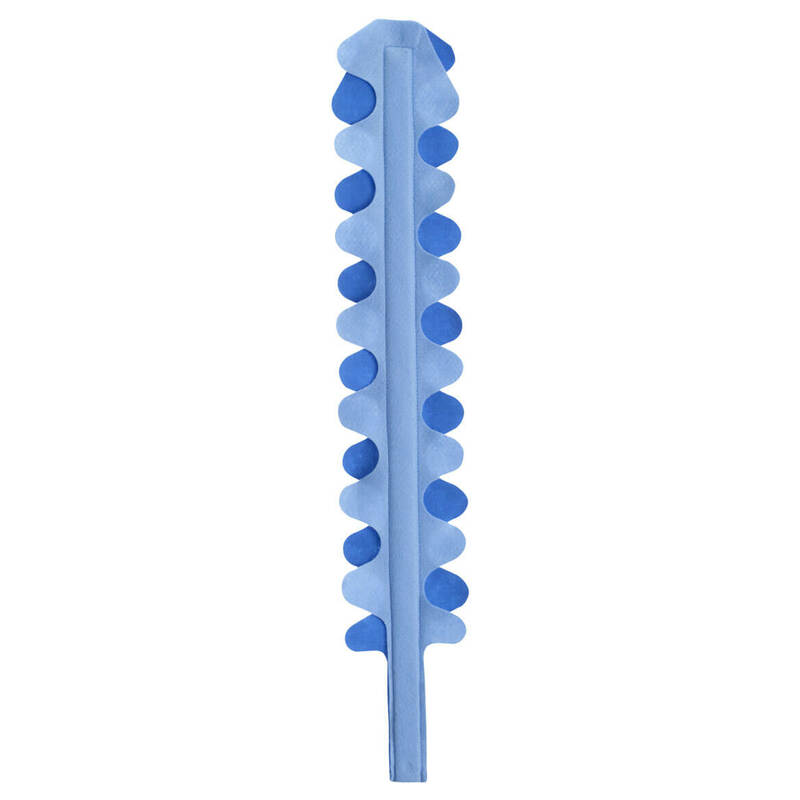 I have one of the flat flexible dusters and it can get under some close places. Very good to have. Going to use it to clean between the glass on my oven door! Great for dusting the top of refrigerator which fits under the cabinet. I have used them before and like the security they give me . Can this tool be washed after each use? BEST ANSWER: Thank you for your question. Yes it can be machine washed and reused. We hope this information will be of help to you. Yes it can, but a good shaking will get the dust bunnies off quite well.